There are so many story lines happening at once on this season of Southern Charm. It is just so good. Is it 9PM yet? That new episode needs to be here right now. This attempt at friendship/pseudo love triangle between Austen Kroll, Chelsea Meissner, and Austen’s girlfriend Victoria (who used to be friends with Chelsea) is finally coming to a head. Thomas Ravenel and Ashley Jacobs still have relationship problems. And there are still other story lines to watch, enjoy, and dissect during tonight’s episode. For years, Shep Rose was hard on Craig Conover for pretty much everything he did. From taking forever to finish law school (and stretching the truth about his studies) to sewing throw pillows, Shep really took issue with Craig’s life choices. 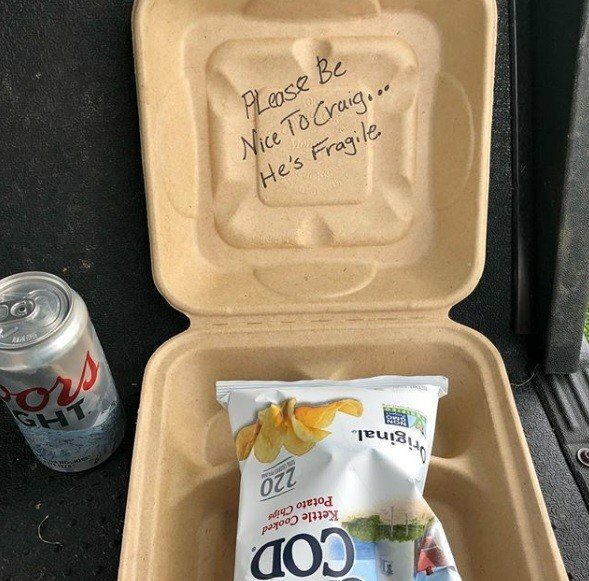 This season on Southern Charm things seem to be much better between the two costars, but there is at least one fan out there that wants to make sure Shep is nice to Craig. After two drama filled episodes of Southern Charm, it was time for a calm catch-up wasn’t it? Last night’s episode was just that, with a little dose of puppeteering from a guy who loves to pit women against one another. And no, I’m not talking about the brew master! Austen Kroll’s girlfriend has hung up on him after spying Naomie Olindo’s Instagram story that shows him sitting a tad too close for comfort with Chelsea Meissner. Ashley Jacobs wants to hit the hot tub with Whitney Sudler-Smith who jokes she should soak with her new friends. As she cackles, Kathryn Dennis and Naomie sneak out of the kitchen before Ashley gets any ideas. Austen pulls Chelsea aside to share Victoria’s rage. Chelsea hates that Austen is being forced to choose between dating Victoria and maintaining a friendship with Chelsea, but that seems to be what is happening. He doesn’t understand. If Chelsea was hurt by his relationship and wanted him back, it would be one thing, but that’s not the case. Is it? IS IT? Austen certainly wishes it was. I don’t think it would be humanly possible for me to get sick of Southern Charm even if it aired all year long. This season, in particular, has been everything, and it’s not because of someone claiming to play the role of villain after getting reamed for their bad behavior. It’s been so fun to watch Kathryn Dennis get her life together while Thomas Ravenel implodes (or explodes as happened last night). This week’s episode had everything: Craig Conover hit rock bottom, Naomie Olindo acted crabby, and Shep Rose, who loves EVERYONE, was unable to stomach T-Rav’s latest plus one. Mix in some mild canoodling (and tears) from Chelsea Meissner and Austen Kroll, and it was a winner! Just kidding, it was full-on hard to watch mess thanks to what’s her name. My friend, who has been hesitantly straddling the Team Kathryn fence (she can’t forget), expressed it best when she texted me that her husband had a headache due to the amount of screaming she’d been doing at her TV in favor of our underdog. Last week’s cliffhanger had everyone screaming “What Dau…fu(skie)?! ?” at their television screens when Ashley Jacobs came for Kathryn on the charmers’ weekend getaway to Hilton Head Island. Just a quick refresher: Ashley really wants to be invited to Saint’s birthday party, so she went about procuring an invitation in the best way possible…feigning sympathy for the passing of Kathryn’s grandmother followed by insulting Kathryn’s mothering skills. It’s Emily Post 101, y’all! 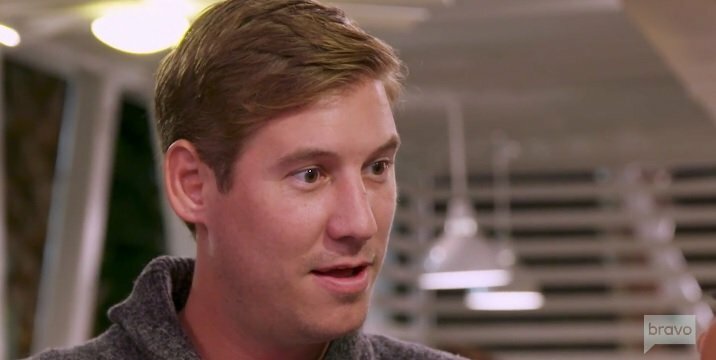 Southern Charm Recap: Did Someone Say “Birthday Party”? Last night’s Southern Charm had everything America needs right now. Kathryn Dennis went head to head with her very whiny replacement. Thomas Ravenel lost the drinking game where he had to take a shot every time his wallet’s girlfriend said the word “birthday.” Most importantly, CRAIG CONOVER REUNITED WITH GIZMO. It was an episode for the people, no doubt. The crew is heading to Hilton Head for the weekend, so Shep Rose has postponed his knee surgery, because, you know, priorities. Naomie Olindo is looking forward to some girls’ time with Kathryn and Chelsea Meissner, but she is dreading having to hang out with her ex Craig. He just brings out the mean in her. Her roommate urges her to have a heart-to-heart with Craig before the trip. They need to get in the fast lane to the friend zone to make it less awkward for the entire group. Chelsea checks in on Kathryn to find out that her grandmother has passed away. Kathryn was very close to her grandmother, who viewers met when she gave her blessing to a baby Kathryn in a relationship with a fifty-year-old T-Rav. She reminisces about going the library and playing board games with her grandmother, and it sounds like that had a very special relationship. 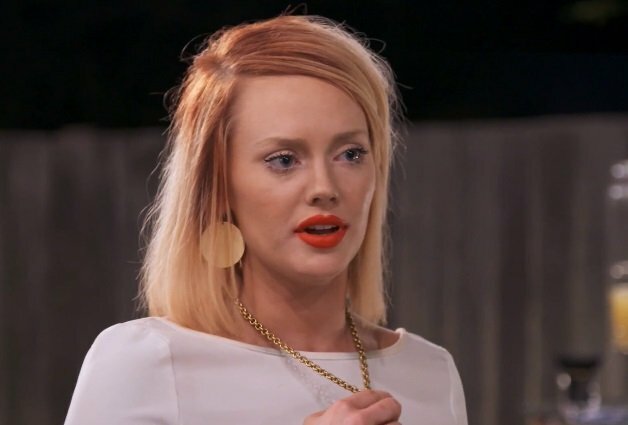 It looks like Season 5 of Southern Charm is shaping up to be a comeback season for Kathryn Dennis. She finally has a solid group of girlfriends, she’s sober, and she’s really on the right track. Not only that, but she has the least likable adversary of all time: her ex Thomas Ravenel’s current girlfriend Ashley Jacobs. If people weren’t rooting for Kathryn before, they sure are now. Ashley had the nerve to tell Kathryn that she was “just an egg donor” among other awful insults. If you’re not #TeamKathryn, then we are clearly not watching the same show. When it was announced that Southern Charm stars Kathryn Dennis and Craig Conover would be on Watch What Happens Live, the fans wondered if they would address the sexual assault allegations against their costar and the father of Kathryn’s children Thomas Ravenel. No one from the Southern Charm cast had commented on it at that point, but Andy Cohen asked about it right out of the gate. There is a lot to unpack from last night’s episode of Southern Charm! Not only is baby Palmer (maybe) on her way for Cameran Eubanks, Craig Conover is finally coming into his own. Despite the boys versus girls theme that has dominated the season, there was a glimmer of reconciliation (or at least a melancholy trip down memory lane) for Thomas Ravenel and Kathryn Dennis. Even Austen Kroll is sidestepping the Shep Rose 2.0 comparison by coupling up, although it’s not with Chelsea Meissner. I guess her friend is a fine second for Austen…at least for now! Last night’s episode begins with a very pregnant Cameran packing for the hospital. She is about to head to her last OB appointment, and there is a possibility she will be admitted to be induced. She calls her mom to reveal that she’s been cramping for a while, and her mom is ecstatic. That sounds like labor! Cameran has surprised herself by being super calm and focused on the end game. The anxiety she feared when it was time to give birth is nowhere to be found.